Singapore Airlines (SIA) stories of stewardesses, stewards of more than 10 years by Boh Tong : SIA stewardesses on National Day Parade...which year? 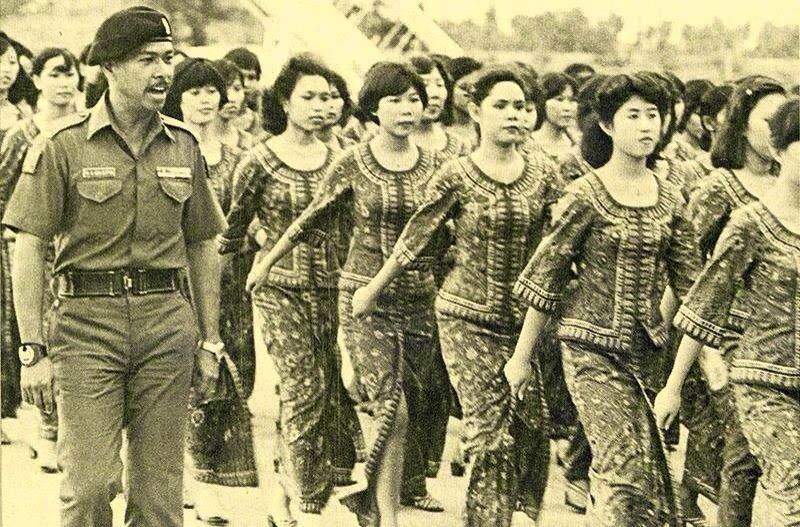 SIA stewardesses on National Day Parade...which year? Doubt they are all SIA stewardesses, bulk of them are ground staff who worked for SATS, backend office etc. The last round few years back, SIA do have a team represented at the parade, but there were only 6 trainee stewardess, the rest are SATS staff but dressed in the kebaya's uniform. I think that photo was probably taken in 1974.